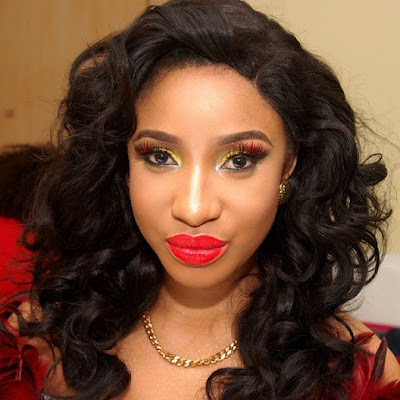 Renowned Nollywood actress, Tonto Dikeh-Churchill, has said there are roles she can no longer play as a married woman, stating marriage has changed the way she thinks and operates. The ‘Sugar rush’ crooner, who got married last year, also said marriage is a blessing, not a curse or hell fire as most people have tagged it over the years. In a chat with The Sun, the River State-born actress said, “Marriage is a blessing! It’s a new phase and level in life. Marriage from my point of view is awesome if you marry the right person". On what attracted her to her husband, Tonto said, “If you know my husband, it would be hard to pick out what you like most about him because he is such a sweetheart. But I appreciate his efforts in making me a better woman. He has given me so much security as a husband". The actress, who has not featured in any movie since she got married, said she was busy with her primary responsibility. She said, “I have not worked in any production after marriage because I have been busy in my primary duties as a wife and mother. I need adequate time to build a solid foundation for my family and for a sustainable home. And I hope to be back in no distant time,” she noted, adding that as a married woman, she would no longer accept any role that comes her way now. She said, “As a married woman a lot of things change in your life. Of course, you must have some sense of responsibility in decision making, because it is not just about your life anymore, you have a family to take care of". “So, for the respect I have for my head, who is my husband and my neck, who is my son, I can’t play certain roles anymore. And I don’t have any regrets because my family comes first in all I do,” the mother of one added.